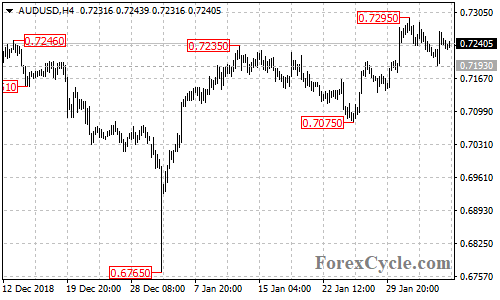 No changed in our view, AUD/USD remains in the uptrend from 0.7075, the price action from 0.7295 could be treated as consolidation for the uptrend. Another rise towards 0.7400 could be expected after the consolidation. Near term support is at 0.7193, only a breakdown below this level could bring the price back to 0.7100 area.